Man at church sitting in 'free' seat, London, 1872. 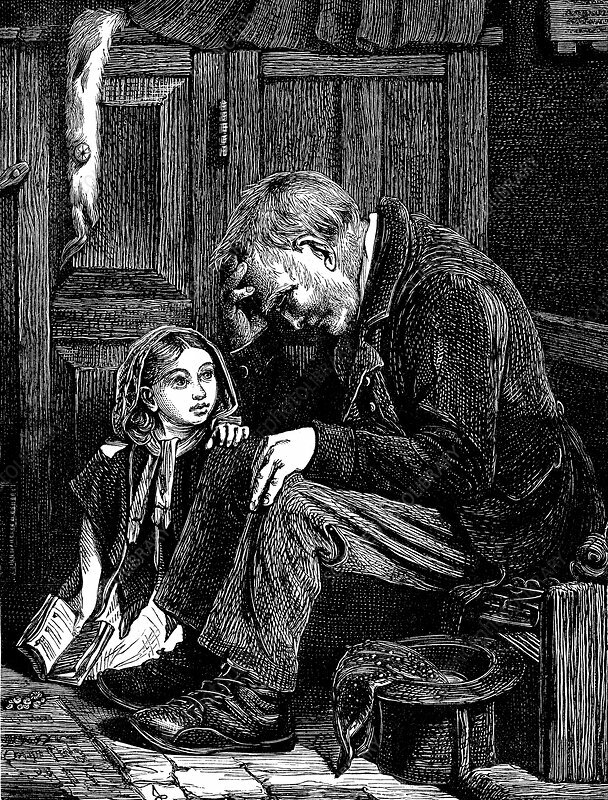 In Anglican churches in England in 19th, century more prosperous families rented their pews, but some free seats were available for the poor. Wood engraving by John Emms.